Baby, it's cold inside. 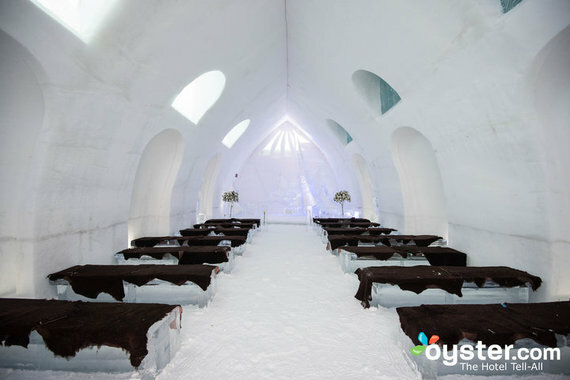 If your kids love Frozen, or you're looking for an excuse to do some serious snuggling up with your honey, this ice hotel in Quebec -- the Hotel de Glace -- might just make the perfect getaway. 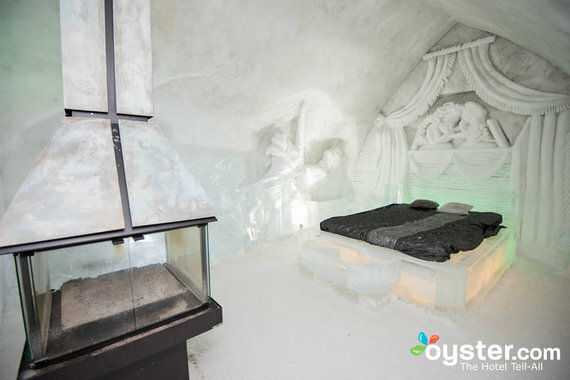 Baby, it's cold inside. If your kids love Frozen, or you're looking for an excuse to do some serious snuggling up with your honey, this ice hotel in Quebec -- the Hotel de Glace -- might just make the perfect getaway. 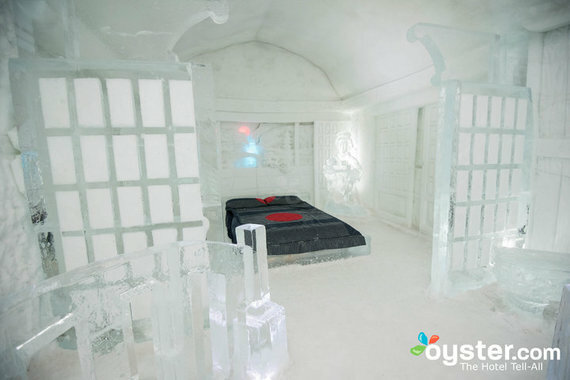 The entire hotel is built of ice and snow, and is kept at 23 to 27 degrees Farenheit at all times. 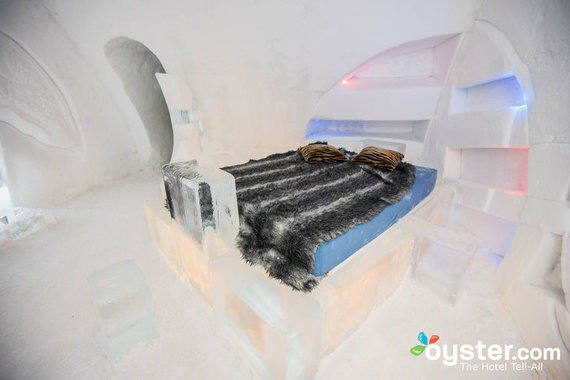 Hot tubs, saunas, and thermal sleeping bags on are on hand to keep guests as toasty as possible, but as the property is part of a tourist attraction, guests must be out the door by 9 a.m. so that their rooms can be toured. 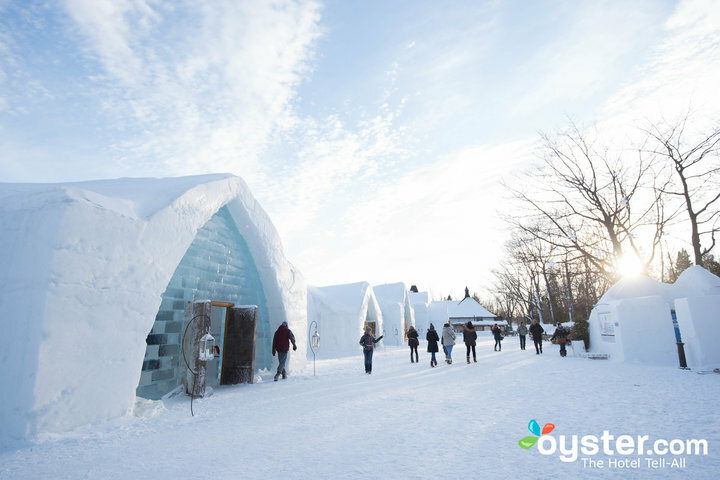 Unlike some hotels that never renovate, the Hotel de Glace is completely bulldozed and reconstructed every single year. 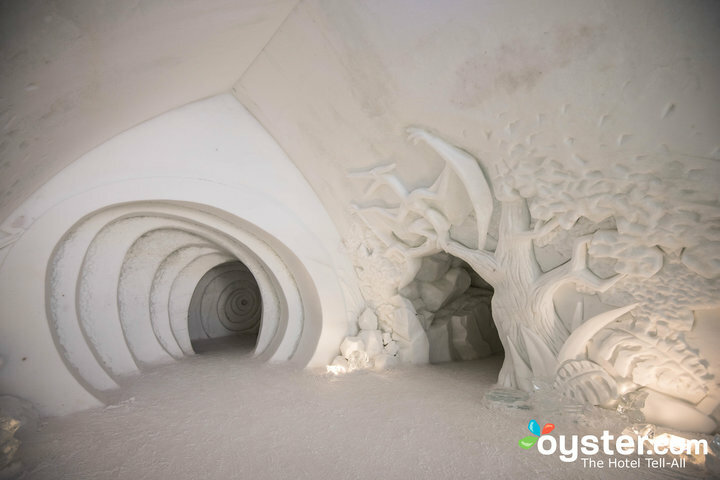 This year's theme is "Time and Space," and the ice sculptures and carvings throughout the property depict scenes from history, as well as the (potential) future. 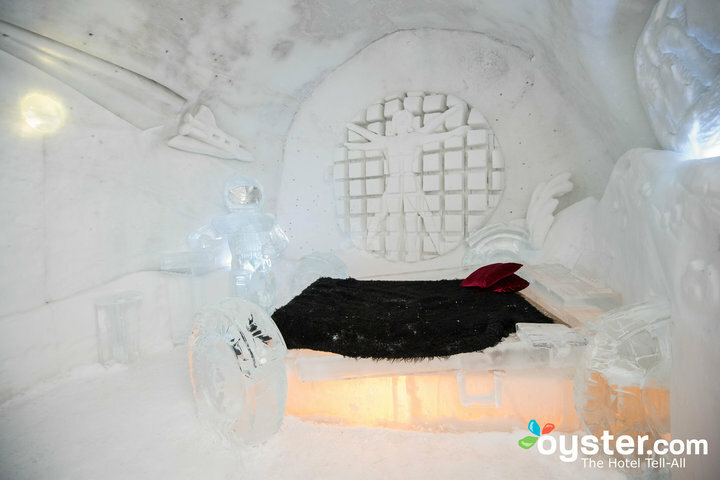 This year is the hotel's 15th anniversary, and in celebration, artisans built an ice slide and ice staircase by one of the bars. 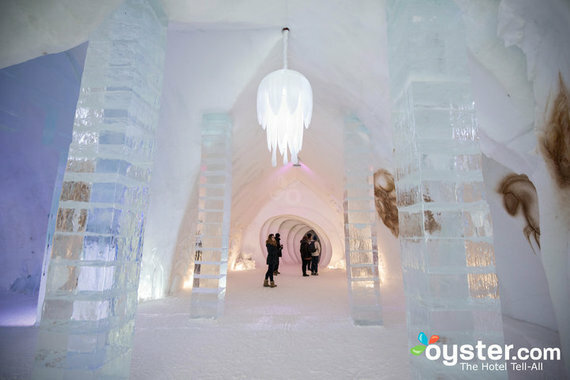 Take a look at more icy pics below.